Upper Silesia. The most industrial part of Poland. Polluted in the scale of the country, however it is worth to invest in here because of the big population and the high rate of high-skilled workers. That is the factor that every professional company takes into consideration. Conscious managers know as well that this factor needs to be taken care of. Our customer believed in this region and its citizens. Developing his business, he took into consideration the conditions of work environment and wanted his employees to feel better at work and work in a pleasant atmosphere. The customer tried as well to compensate the inconvenience resulted from functioning in the industrial part of the country. 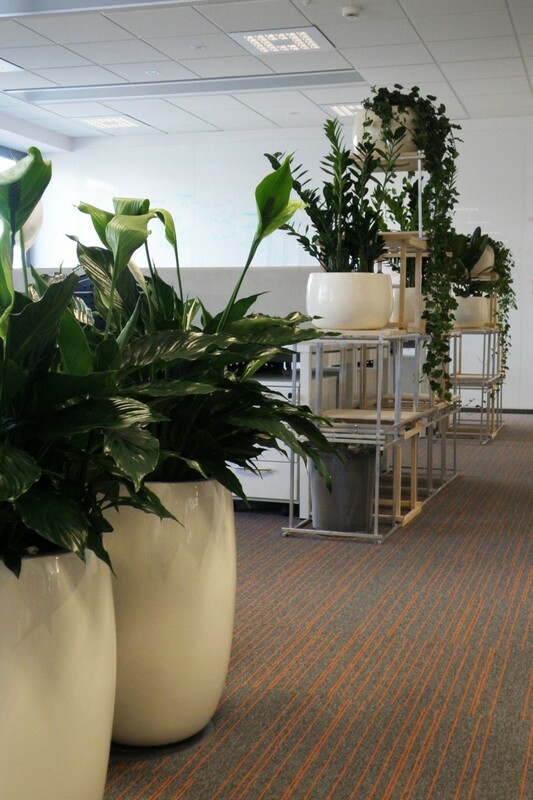 The greenery project assumed the installation of standalone planters in subdued colors and different sizes, placed on several floors of the office building. The selection of plants was supposed to be varied but cohesive. Generally the idea was based on the “FEEL AT HOME” concept. 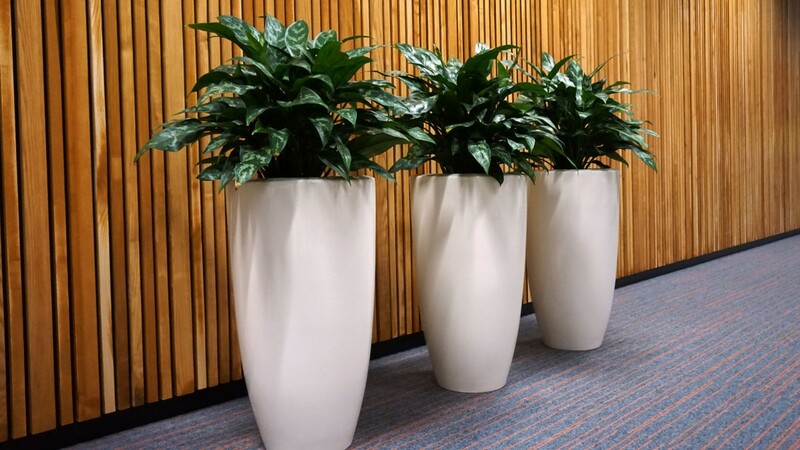 Additionally, to diversify the project smaller planters were planned to be installed in one of the rooms. 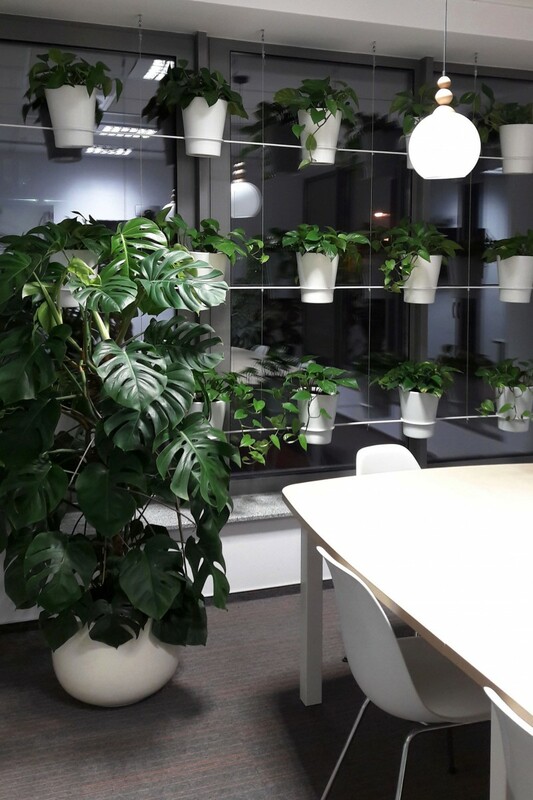 They were placed against the window making kind of a “green wall”. It was not a classic system though, but rather a creative version. 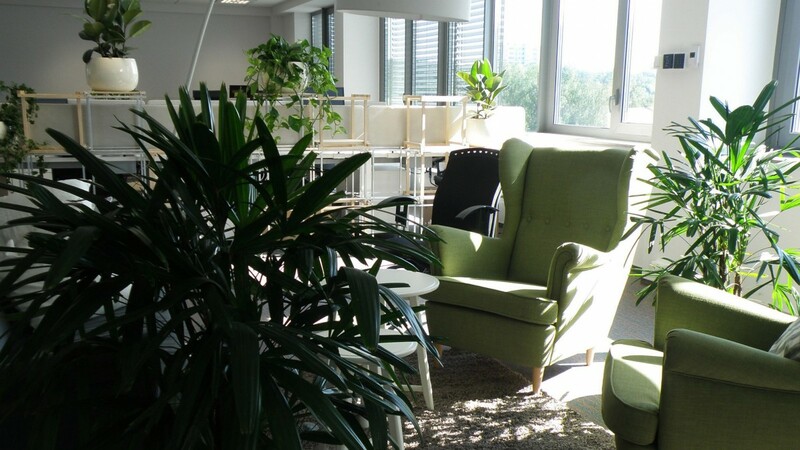 The aim of the project is to make the office work more pleasant and also to influence the way the employees think, breaking the stereotypes connected to the Upper Silesia region.